Call Speedway for expert advice in assisting with all your aggregate needs including limestone, gravel and landscape products. Speedway has all the products to meet your residential, commercial and state highway project needs. Speedway also carries CAPP materials, which are vital to state highway projects. ***Speedway also carries CAPP materials for all state highway projects. Speedway has all the trucking and equipment readily available to complete any job from concrete and asphalt state highway paving to commercial, residential and landscaping. Trucks include slingers, single axle, tri axle and quad axel dump trucks. 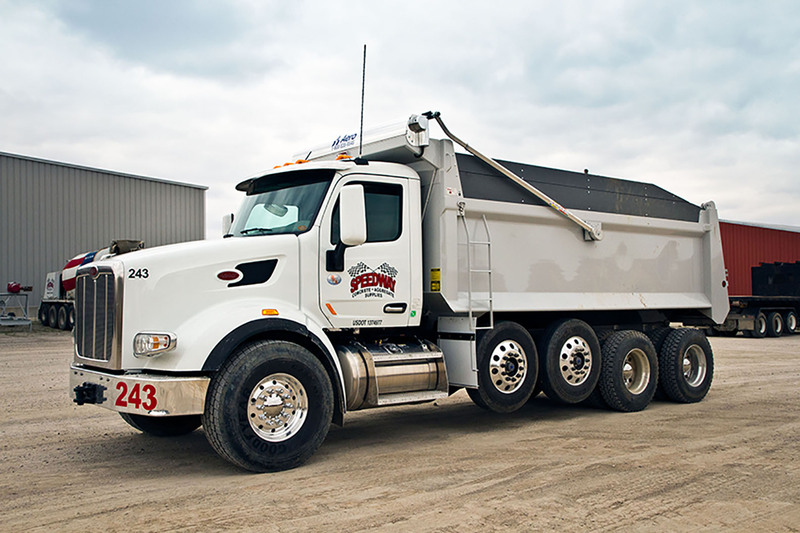 With a brand new fleet of dump trucks available in sizes to fit your needs, rest assured on the reliability of Speedway’s fleet to transport every load of construction material ranging from small loads of residential landscaping mulch up to 22 tons of sand, stone, mulch or other dry materials. Speedway offers flexible scheduling and unbeatable service. Contact us today for all your hauling needs. 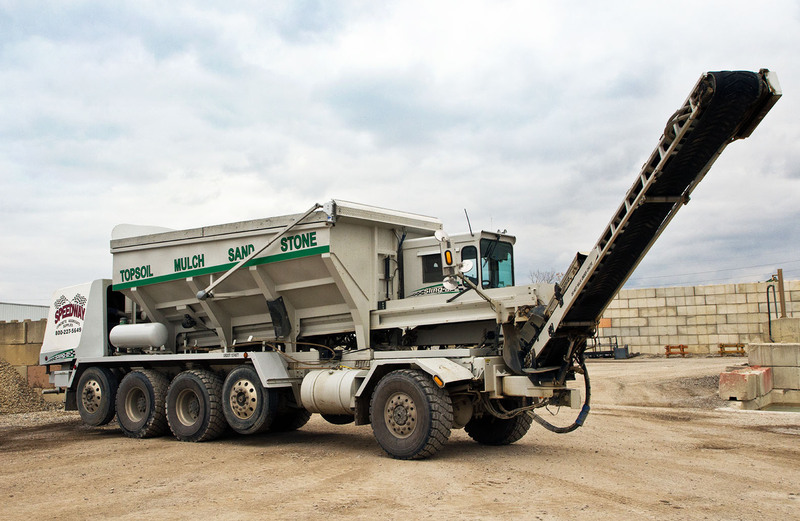 Speedway’s slinger trucks help expedite the distribution of materials such as soil, aggregates, or mulch at a lower point than hiring a team to do this job by hand. Slingers are capable of a more precise placement of product, as well as assisting in difficult areas to reach by slinging up to 100 feet. Through speed, accuracy, and cost efficiency, slingers are an essential piece of equipment for your next project. Ensure a return on your investment by including a conveyor, which is especially efficient for dry materials over 100 tons by saving time and money. 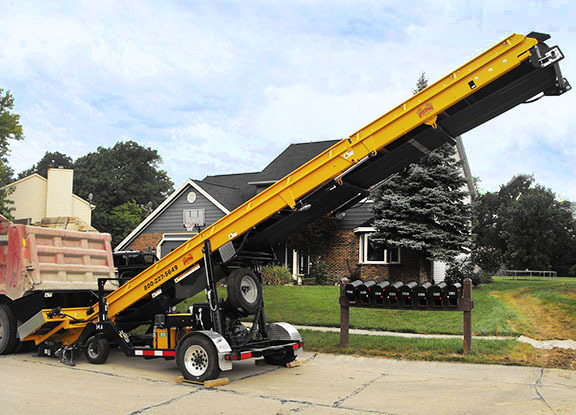 Instead of using 2 to 3 slingers, one slinger is proficient with the help of a conveyor and dump trucks. Call Speedway today to assist with your job specific equipment recommendation.